There is a pantload of pictures throughout history that make people stop dead in their tracks. For some, it’s Quang Duc’s self-immolation. It could be the photo of Nguyen Van Lem’s being shot in the head in Saigon. Or – it could be Tank Man from Tiananmen Square. 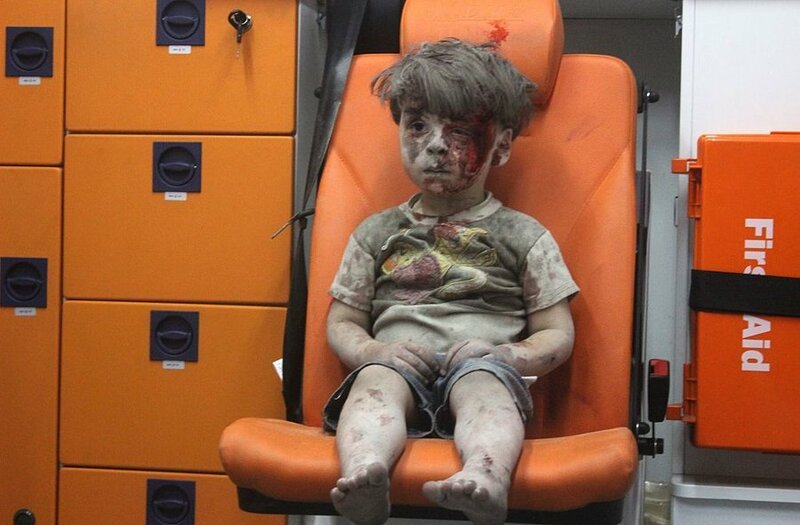 The picture that has haunted me since I first saw it is of Omran Daqneesh aka “Syrian Ambulance Boy.” All of five years-old. As a parent, it is heartbreaking and soul crushing. As a human being, it makes you wonder what constitutes humane. Today, an executive order was signed suspending the U.S. Refugee Admissions Program for 120 days. All immigration from “countries with terrorism concerns” has also been suspended for 90 days. This includes Syria, where Omran lives. Some will say it’s not the United States’ responsibility to fix the world’s problems. As many have pointed out, today is also Holocaust Remembrance Day. With that in mind, I’d like to remind those who feel that way that there was a boat full of Jews who were seeking safety in the United States. Our country turned that boat away. We can repeat our mistakes or we can learn from them. A five year-old boy is not a threat to our national security. Neither is a majority of Muslims seeking asylum from their war torn nations. We have to be better than this.